"My clients inspire me to work hard. I cherish the trust they place in my efforts and I know they are counting on me for timely, practical and cost-effective guidance. I am motivated by the examples they set on issues such as team building, risk taking, perseverance and dedication to excellence." Jonathan Wachs provides strategic counseling and operational advice to clients in the areas of intellectual property, commercial transactions, corporate governance and the legal cannabis industry. As a member of the firm's Intellectual Property Group, Mr. Wachs works closely with clients to develop, register, analyze, enforce, and transfer intellectual property assets in a customized, cost-efficient, and highly effective manner. Additionally, he conducts intellectual property audits through which clients learn the nature and value of their intellectual property assets and the steps needed to protect such assets from misappropriation or dilution. He also manages a blog about intellectual property issues, Friday Factoids. As a founder of the firm’s Cannabis Law group, Jon has become a recognized resource on issues relating to the evolving relationship between cannabis law and intellectual property protection. He has worked with many operators in the cannabis industry to navigate the rules and processes relating to specific state medical cannabis programs. He is the co-facilitator of Offit Kurman’s Medical Cannabis Affinity Group, a dynamic speaker series featuring national thought leaders on operational issues affecting the cannabis industry. As a business lawyer, Jon has successfully negotiated and completed many seven and eight figure business transactions and has served as general counsel to several small and mid-sized businesses in various industries and professions. Mr. Wachs manages New Paradigm Counsel, a service through which Offit Kurman delivers customized, comprehensive and cost-effective outsourced legal departments. Through New Paradigm Counsel, Jon served as outsourced general counsel for a government contractor, a large printing business, a payment processing company and an identity theft restoration business. Mr. Wachs has developed and managed numerous intellectual property portfolios, expeditiously and successfully resolved business disputes, and negotiated hundreds of business agreements. He has structured, negotiated, and documented transactions regarding the formation, restructuring, sale, and termination of small, midsize, and large business entities and the acquisition, financing and transfer of business assets. Mr. Wachs has served as various and diverse clients including cannabis industry businesses (cultivators, processors, dispensaries and independent testing laboratories), software developers, manufacturers, suppliers, real estate developers and medical practices. He has also drafted numerous agreements to license, sell, and/or pledge intellectual property assets in industries including software development, entertainment, textiles, and pest control. Mr. Wachs represented several manufacturers in obtaining substantial trademark and copyright infringement settlements from national and international businesses. Mr. Wachs is the past president of the Board of Directors of Meals on Wheels of Central Maryland Inc. He is a Mentor for the Towson University Incubator and an evaluator for the Maryland Industrial Partnership Program. Mr. Wachs is also actively involved in the University of Pennsylvania Alumni Interview Program. 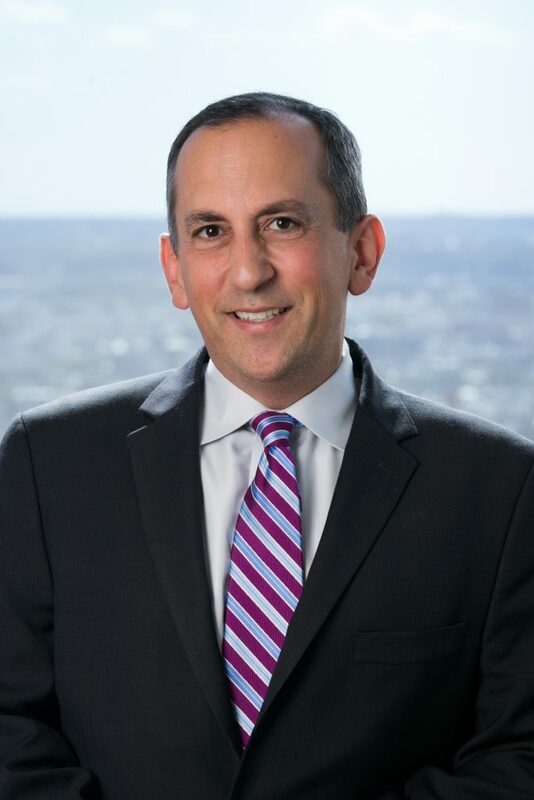 Mr. Wachs previously served for many years as a director of and associate general counsel for the Jewish Federation of Reading, Pennsylvania and as a member of the board of directors of the Institute of the Arts in Wyomissing, Pennsylvania. Mr. Wachs delivered several seminars to clients, accountants, medical professionals, and the general public regarding subjects including the fundamentals of intellectual property and legal issues for startup businesses. He frequently writes on intellectual property news and issues. Prior to joining Offit Kurman as an intellectual property attorney, Mr. Wachs worked as an antitrust lawyer at large law firms in Washington, D.C. and as a transactional business attorney in Wyomissing, Pennsylvania. Past President of Board of Directors of Meals on Wheels of Central Maryland Inc.
"Friday Factoids: World Intellectual Property Day"